Android is a platform that has the privilege of having a lot of apps, and a lot of games. There’s been a shift in focus to mobile gaming in the past few years and mobile games are no more just little games with no much story or direction and with low production values. Some of the games are absolutely stunning and they can actually go head to head with some PC games. In fact, some PC games from the past few years have been ported to Android in their full glory like Grand Theft Auto Vice City and Max Payne. 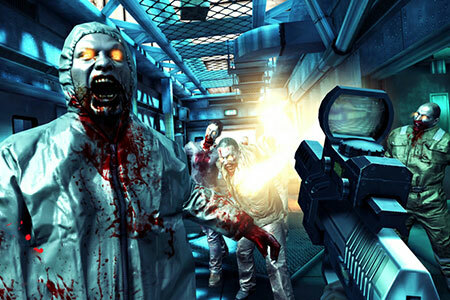 But we’re going to consider only original properties here, so read on for the top 5 Android shooters and action games! 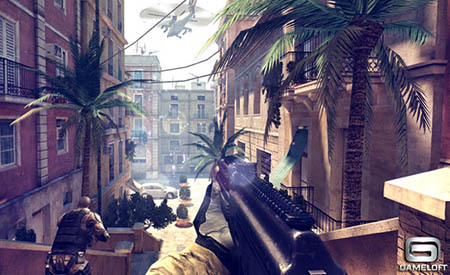 This superb first person shooter from Madfinger games was originally a paid app for both iOS and Android, but eventually went free to play after an “unbelievably high” rate of piracy. We’re not doubting that though, it’s one of the best Android shooters on the Google Play Store. You are the survivor of a zombie apocalypse and must complete missions to progress in the game and story, however thin the story might actually be. The missions are of certain basic types like getting from point A to B, defending a door and such, and might get boring after a while, but it’s enjoyable nonetheless. A highlight of the game are the excellent graphics, and people with Tegra powered devices like the Google Nexus 7 are in for a treat, as the graphics are optimized for them. Shadowgun is a third person shooter a la Gears of War, you get to play as John Slade a bounty hunter in the future who is tasked with taking down a doctor experimenting on the local populace. Again developed by Madfinger games, it has very good voice acting, graphics and gameplay which includes cover mechanics as well. 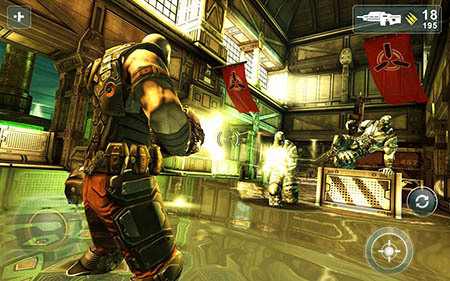 Shadowgun DeadZone is a spinoff of the original game, and unlike the first it is completely free to play. It’s multiplayer only, and you can actually play deathmatches with upto 12 players from both Android and iOS. It’s one of the best multiplayer Android shooters and matchmaking works really well too. Shadowgun is also available in a THD version with better graphics for Tegra powered devices. One of the games that set a benchmark for graphics on Android, N.O.V.A. 3 from Gameloft continues the story from previous installments and you play as Kal Wardin, who is called upon once again to save humanity from the Volterites. N.O.V.A. 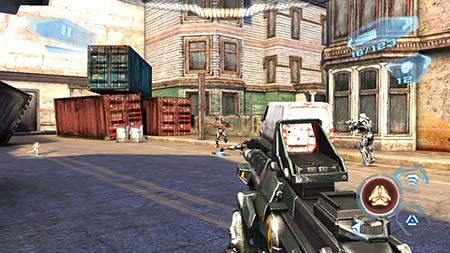 3 improves upon previous games with respect to graphics and gameplay, and the integrated multiplayer mode makes it one of the most complete Android shooter available. Fans of the Halo and Crysis series will notice similarities, but it’s a solid shooter on it’s own nonetheless. 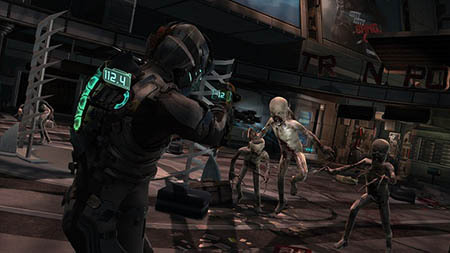 Although it’s named the same as the first game in the Dead Space series, the Android version of the game actually follows a different protagonist called Vandal. It’s set on Titan and takes place somewhere between the storylines of Dead Space and Dead Space 2. Combining the action and grisly horror of its PC counterparts, Dead Space is a fantastic game even though it was released a while ago and has a full fledged plot that seems less like an afterthought like some other games. More than an accompaniment, Dead Space can be considered a full fledged entry into the PC and console series. So those were our picks for the top 5 Android shooters and action games, do let us know if we’ve missed something and as always comments are welcome! I love free games for my android tablet and I better try all of these games. Let me see which is better. Thanks for sharing dude and hope to hear more from you.